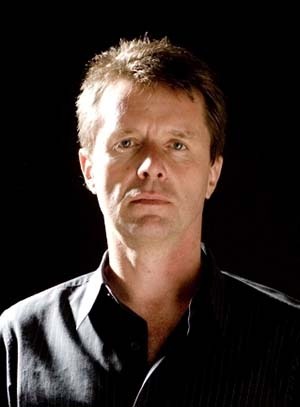 Nicky Campbell has won 6 Sony Gold Radio Awards. He has presented network radio BBC programmes for 30 years now starting off his Radio career as a colleague of among others Kenny Everett, Alan Freeman and John Peel. He has presented on various Television programmes over the years ranging from 'Top of the Pops' to 'Newsnight' and 'Panorama'. He fronted the BBC1 consumer show 'Watchdog' for 9 years. Currently he presents ITV's multi-award-winning and ground-breaking 'Long Lost Family' with Davina McCall and the BBC's Sunday morning ethical and religious debate programme ‘The Big Questions’. Nicky has also presented a series on adoption for ITV, ‘Wanted: A Family of My Own’. He presented a documentary in ITV's Perspectives strand on one of his passions 'Great American Love Songs'. In December 2017 Nicky appeared in ITV’s “All Star Musicals” singing Razzle Dazzle from Chicago. On Radio he has presented the much awarded Five Live Breakfast show for 14 years with Shelagh Fogarty and now Rachel Burden. He has interviewed every Prime Minister and Chancellor since Margaret Thatcher. Nicky's charity work is in Animal Conservation and Adoption. He campaigns against the illegal Ivory trade and he is Patron of The British Association of Adoption and Fostering and was himself adopted when three months old. His adoptive mother was a psychiatric social worker and his adoptive father a publisher of maps. In 2004 he wrote Blue-Eyed Son, Story of an Adoption, his account of tracing both his birth parents and his extended families in Ireland. Nicky is also a professional song writer and composer. In 2009 he wrote the critically acclaimed swing album "Moonlights Back in Style" for Mark Moraghan on the famous Jazz label Linn Records. His second album, We’re Just Passing Through, was co-written with Kate Robbins. In Spring 2017 he wrote and released the single “Sacred Eyes” in support of the David Sheldrick Wildlife Trust. Nicky's great loves are his wife Tina, his four daughters Breagha, Lilla, Kirsty and Isla, his dogs Maxwell and Misty, his guitar, his piano and his Ukulele. Nicky was awarded the OBE in the Queen’s 2015 Birthday Honours for services to adoption and fostering.